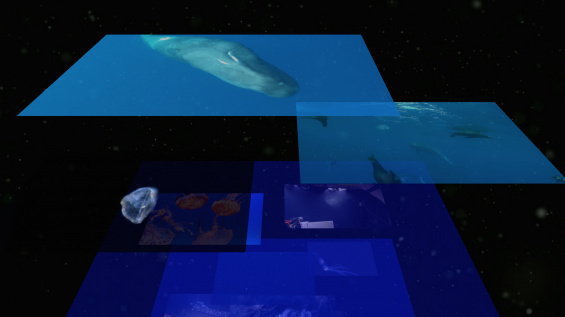 The New Museum and Inhabitants with Margarida Mendes present Mining the Deep Sea Frontier, two back-to-back sessions taking as their premise that deep sea mining is an imminent threat to global ecosystems. This series of talks addresses the global turn towards blue economy and the new horizon of deep sea extractivism, in what is called “a new gold rush.” Mining the Deep Sea Frontier will parse arguments from environmental activists and the mining industry, policymakers, biodiversity experts, and ocean researchers. This program will explore what constitutes the extractivist frontier: from historical narratives of the ocean to the technological development required for deep sea mining. Structured around two thematic threads, the discussions are prompted by different mediating agents, followed by a debate and Q&A. For 2018 Triennial: “Songs for Sabotage,” Inhabitants has created a new web series, What is Deep Sea Mining? (2018) with Margarida Mendes. This series is part of a larger commission focused on deep sea mining, produced by TBA21—Academy, an itinerant site of cultural production and interdisciplinary research focused on today’s most urgent ecological, social, and economic issues concerning the oceans. In two episodes, Episode 1: Tools for Ocean Literacy and Episode 2: The Blue Economy, a New Gold Rush?, Inhabitants and Mendes delve into deep sea mining, a new frontier of mineral extraction at the bottom of the ocean. The series is also available on inhabitants-tv.org, the New Museum website, and other media channels. With keynotes by Lauren Kubiak and Katherine G. Sammler, this session will introduce the various types of materials, technologies, and stakeholders involved in deep sea mining and clarify its processes and consequences. It will introduce the scenarios and geographies planned for this future type of experimental mining, particularly in the context of the Pacific, taking into account that first tests of the process have already begun in Papua New Guinea and more are planned for other island territories in the region. Frontiers regimes are being negotiated as the rush towards deep sea mining brings about a new horizon for extraction. With a recorded introduction by Stefan Helmreich, and keynotes by D. Graham Burnett and Jessica F. Green, this session explores historical and ontological questions surrounding deep sea ecosystems by speculating about complex forms of planetary life and its origins, while introducing policy debates. Speakers will address the shift towards underwater colonialism and how visual and rhetorical strategies serve as tools for representing the unknown, be they in the fields of scientific analysis, politics, or data visualization.